Many people choose a special corner of their garden to honor the memory of their loved one. Memorial gardens offer a quiet sanctuary of remembrance. 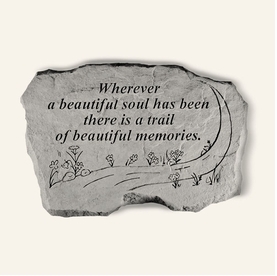 We offer many personalized memorial stones with heartfelt messages of comfort and remembrance. 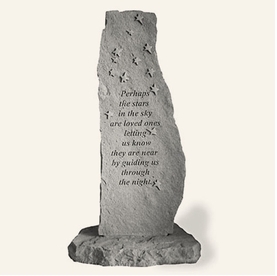 The memorial stones are weatherproof and durable for all seasons. 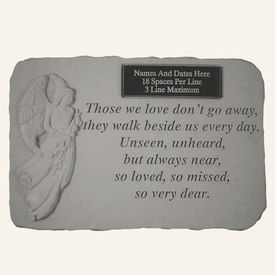 A thoughtful memorial gift to honor a loved one.